How did Rosebud Vineyards come to be? Our story begins back in the late 1970’s with a young couple in search of a piece of land to call their own. 1977 – Way Up North! 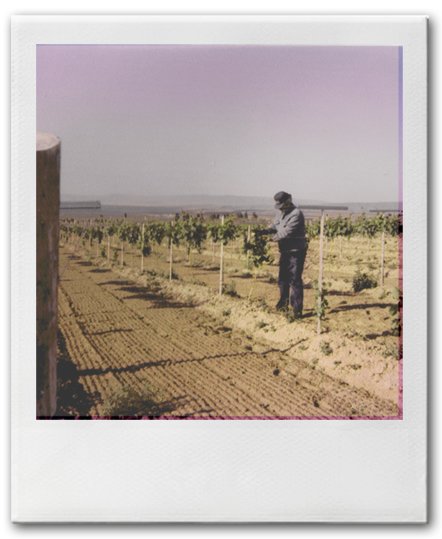 Rosebud Vineyards was founded by Don and Norma Toci in 1978 out of a love for each other, and a love of the land. They had a desire to build a family and lifestyle they could enjoy, as well as secure a legacy for future generations. Two people who came together out of pioneer ranching and farming families of the southwest, caught up in a whirlwind of life events, with the urbanization boom of the 1970’s, found a desire of find a new unspoiled vista, and to build a new life together. They had a dream to become ranchers and traveled the western states, including Nevada, Idaho, Colorado, and Oregon searching for the perfect place to call home. They soon ran into an old friend from Arizona, a wine enthusiast, who said to go north to Washington State, and explore the possibilities of the Columbia Basin. They were very intrigued with the new idea of growing wine grapes, so a trip was soon planned. 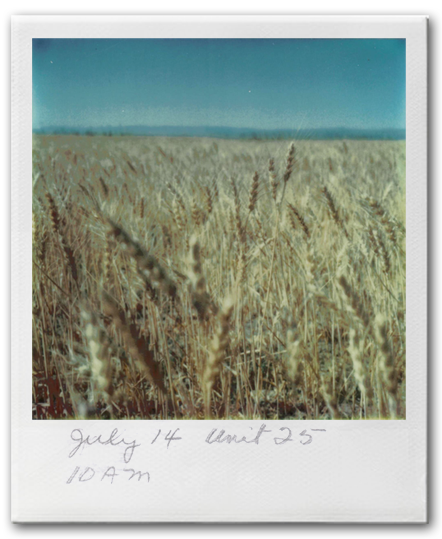 Don and Norma’s first visit to the Columbia Basin revealed a dry, sandy desert without a tree in sight. But with a little determination and a lot of work – they could see the potential for a promising and productive farm. 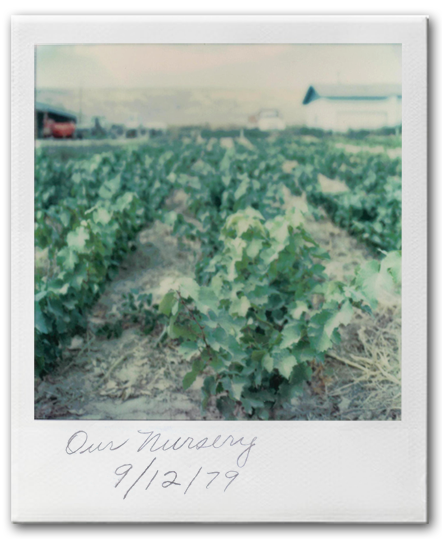 Land was purchased on the Wahluke Slope, and the very first vines planted in the fall of 1978. They had found their unspoiled vista! A place where they could love, grow, and work together in order to mold the land into something beautiful and sustainable. Don and Norma were quickly realizing that their dream was a lot of work! They needed good solid help to see the farm through. Who better to do that than family? Norma’s son Roy Dobson and wife Sharon were asked to move up to Washington in 1986 with their four young children. Over the next ten years, Roy and Sharon worked hard to build the farm into what it is today with multiple expansions in both grapes and apples. With Roy in the field and Sharon in the office and raising four children, they found a great balance of farm and family. By 1995 they had leased the farm and were in charge of the Rosebud name. Recently, the third generation has entered the picture with Chip Dobson and his wife, Katie. 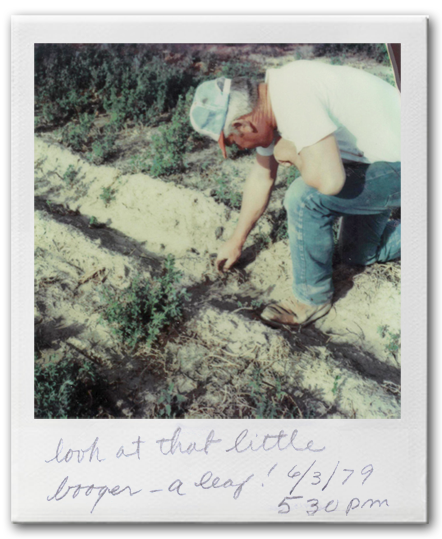 Rosebud has come a long way since 1987, with 400 acres and 21 different varieties currently in production. For three generations, we have put our hearts and souls, and hard work into producing a quality product. Our dedication and persistence not only ensures the long term quality of our wine grapes but the success of our future generations!